Ready to let your culture shine through your company? From recognition programs to recruiting, communications and more, putting your culture front and centre helps organisations stand out in a crowd. Picture your dream job. Then add cake. 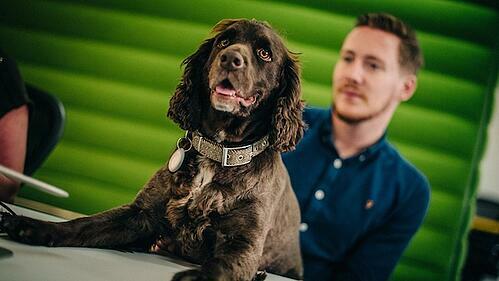 That’s the message at the top of MOO’s careers page and it’s easy to see why. 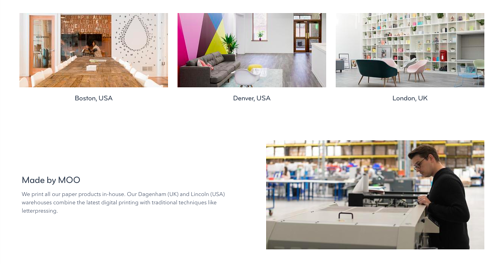 MOO is an award-winning online print and design company – that we actually use for our business cards – and there’s a strong family feeling which resonates from its company culture. Collaboration is encouraged from an open working spaces which includes areas for team lunches, ping-pong matches, foosball tournaments, board games, celebrations, conversations, drinks on Friday, and all the free ice cream you can eat. Sounds good to me. Drinks maker Innocent are so proud of its company values that they're hung above all of the toilets so that everyone can see them every day. The organisation has a big emphasis on developing talent internally and always look to promote current employers before hiring externally. This is a vital part of building a great culture as not only does it mean roles are being filled with people who are already a cultural fit, they’re also rewarded their hard work. This builds a big sense of loyalty from their employees as it shows their individual development is a business priority. 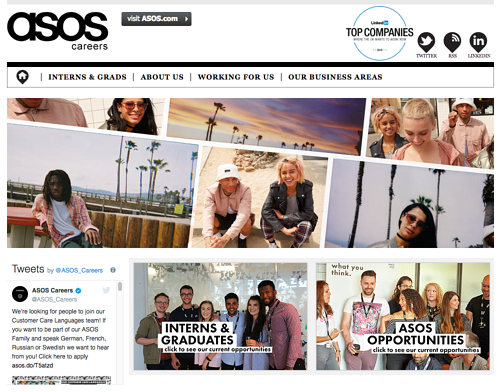 However you choose to pronounce it, ASOS have a clear ambition – “To become the World’s number one online fashion retailer for 20-somethings.” To help their employees achieve this, their reward package focuses on three key areas, "Health," "Wealth," and "Inner Self," with each aspect having its own set of benefits tied to it. As a thank you to their people, ASOS have a summer hours scheme where everyone finishes at 3pm every Friday with a free bar on the last Friday of each month. And on top of all that, they’ve been ranked first in LinkedIn’s top companies to work for in 2018 survey. 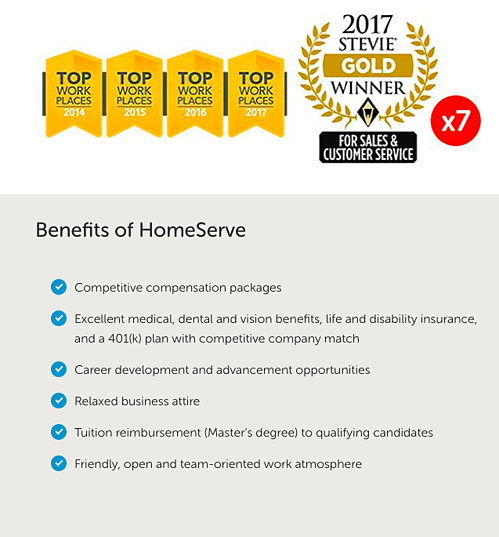 HomeServe are ranked number 10 on Glassdoor’s 2018 Best Places to Work list and it’s easy to see why! They allow their employees to buy and sell annual leave, have a subsidised canteen, a robust employee benefits scheme, and give their employees a free HomeServe policy – which I can imagine comes in very handy around the home. Strong leadership is at the core to making HomeServe’s company culture stand out and, as well as this year’s Best Places to Work ranking, their CEO has been voted #3, #12, and #4 over the last three years across all companies in the UK. We’re proud to have them as an RG client. Core to my role, of course, is making sure that we champion and follow through on our commitment to open and honest communication throughout the organisation. I look to companies such as Doberman for inspiration when I need to convince others of the merit of living our Speak Up value. At the very top of the design company’s priorities is the notion that employees should have a say on how the company is managed. That’s right, every single employee in two of its main offices have the chance to sit alongside the CFO and other core Leadership Team members for 12-16 weeks and influence important company decisions. Tell me, which companies inspire you the most when it comes to celebrating company culture?